The industry-leading services provided by PDQ Specialist Couriers include a range of temperature-controlled transport services with Same Day and Next Day delivery options throughout the UK, in addition to a network that spans Europe. Amongst our range of options are a variety of chilled transport services, with our fleet of highly trained drivers and elite temperature-controlled vehicles equipped with location and temperature monitoring technologies. 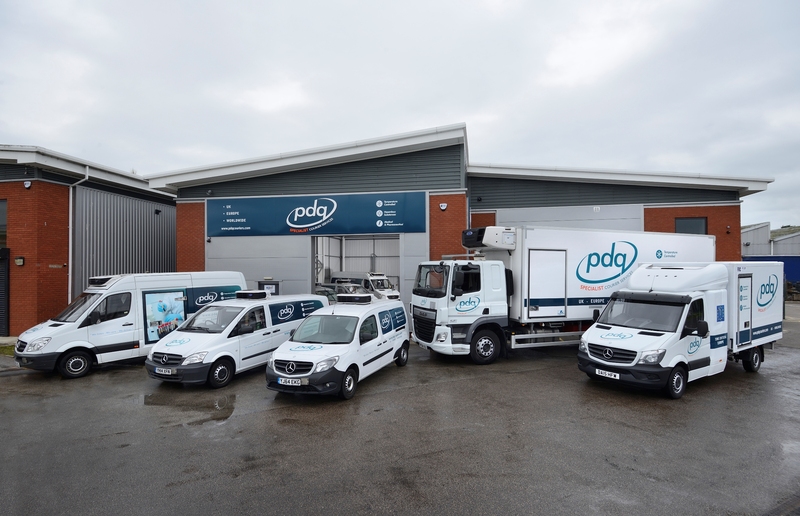 As an established leader in the area of temperature-controlled courier services, PDQ are able to deal with a variety of transport temperatures, including a variety of options for chilled commodities. With our extensive work through the medical, pharmaceutical, hazardous material and veterinary sectors, we understand how vital it is to be able to find a chilled distribution option that you can rely on to transport your goods safely, securely and on time. We have built an extensive track record for offering a respected and reliable chilled courier service that answers to both time-sensitive and temperature-critical needs. We have put in place a range of systems and measures that offer each of our clients the trusted assurances they require when transporting their delicate and/or valuable items. We know that when it comes to transporting chilled medical, pharmaceutical and other items, exact temperature is key. Given the specificity required with regards to temperature management, it is vital that you select an expert chilled courier who can provide reliable transit at all times, ensuring that you have the peace of mind of knowing your transport is secured. Having established ourselves as one of the most reliable chilled courier options in the UK and beyond, our team will be able to help you find the exact chilled transport option that suits you best. If you speak to us today, we’ll be able to discuss your exact transit requirements, taking into account the distance between first pick-up and final drop-off, your time constraints and your exact temperature requirements, ensuring that we provide you with the ideal chilled courier transport for your needs. Our chilled courier service is unrivalled, with a wealth of experience and quality services placing us as the ‘go-to’ courier for a range of sensitive and highly valuable transports. We can cater to the need for goods to be controlled to specific temperatures, offering the added feature of being able to transport multiple different items at different specific temperatures within the same transit. We have also built our chilled distribution services to include a range of detailed updates for each client. Using our “Track and Trace” You’ll be able to check minute-by-minute updates on the exact location and temperature of your valuable chilled transportation. This allows you to track your consignment at any point of its progress so that you can have full peace of mind that everything is completely in-line with your courier service. Having been a trusted courier service to leading names such as the NHS, British Heart Foundation and Cancer Research UK, we have established a detailed understanding of the specific needs of medical organisations and facilities. We may have worked with some famous names, but we offer that same quality of chilled distribution to every single client who makes use of our service. 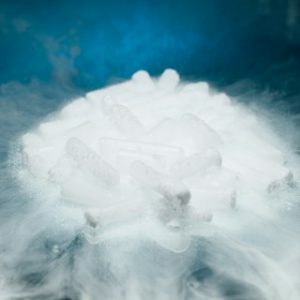 We can transport highly valuable chilled goods, whether it be for medical or veterinarian operations, pharmaceutical test or any form of hazardous transit. Whatever temperature range you need your items chilled to, we will maintain that specific temperature range for the duration of transit. We employ a range of safety features with our fleet of vehicles to ensure that even in the extremely rare event of a breakdown, our temperature-controlled facilities maintain operation for up to two hours. With our extensive breakdown coverage across Europe, that will be more than enough time to ensure that your items are safely and securely cared for at all times. Why is PDQ right for You? All of our vehicles receive full maintenance and servicing by the manufacturer, and benefit from full 24-hour roadside assistance across Europe. The vehicles are also equipped with advanced security elements, meaning your chilled shipment will be fully secure as well as precisely temperature-controlled. We maintain contingency capacity at all times across our range of temperature-controlled vehicles; this uninterrupted availability means we can respond to immediate and emergency deliveries. With 24/7 service and same day delivery, we ensure rapid response at all times. Should you need to send any of your medical, pharmaceutical, hazardous or veterinarian items in a chilled transport over a longer distance, it may require an air freight transport. Thankfully, here at PDQ Specialist Couriers, we not only have access to an extensive network of air delivery, but all of the drivers involved with our air freight transports possess Level 4 training that allows them to deliver their consignments directly to the plane. This is a tremendous asset for any time-sensitive chilled delivery, as rather than being delayed in airport cargo bays and/or customs processes, we have the authentication to be able to get your items exactly where they need to go. We can also ensure that your highly valuable chilled transport is met at the other end of its air freight journey and makes it to its destination in a safe and timely manner, maintaining its specific temperature at all times. As we’ve mentioned before, you’ll be able to track all of these details through your personal ‘Track and Trace’ portal which gives you private access to view all of the digital signatures of your transport. As well as being the ideal place for your to keep a track of your current chilled transport, it also offers easy access to book future temperature-controlled transports. Many of our clients use this feature for regular deliveries, a responsibility we take seriously as the ‘go-to’ chilled distribution experts for many clients around the UK. Our range of chilled courier services are flexible and can be designed to match your exact needs. Not only do we offer some of the most innovative and advanced methods and equipment in our industry, but we have a range of highly competitive pricing packages to help ensure your chilled transports are cost-effective. We take very seriously the trust that we have built up within the medical, pharmaceutical, hazardous materials and veterinarian sectors, so we’re continually striving to maintain and even elevate the elite standards that we offer. All of our staff, from our vehicle drivers to our customer service team through to our management team, all of us are committed to setting the highest standards for quality, security and reliability. We each play are part in ensuring that PDQ Specialist Couriers are a leading option for anyone looking for chilled distribution in the UK and/or overseas. We know that in many cases we are transporting chilled goods that are highly valuable and delicate and ensure that we do everything required to deliver them in a timely and temperature-specific manner. Whether you are in the market for a regular daily or weekly chilled shipment, or a one-off service, there are many different chilled distribution packages and services on offer. Our service team here at PDQ Specialist Couriers are all highly knowledgeable about our range of services as well as being friendly and helpful. Please get in touch with us today to discuss your specific needs, we are available by phone, by email, by online contact form or through the webchat facility here on our website. We look forward to helping you find the ideal chilled transport for your needs.